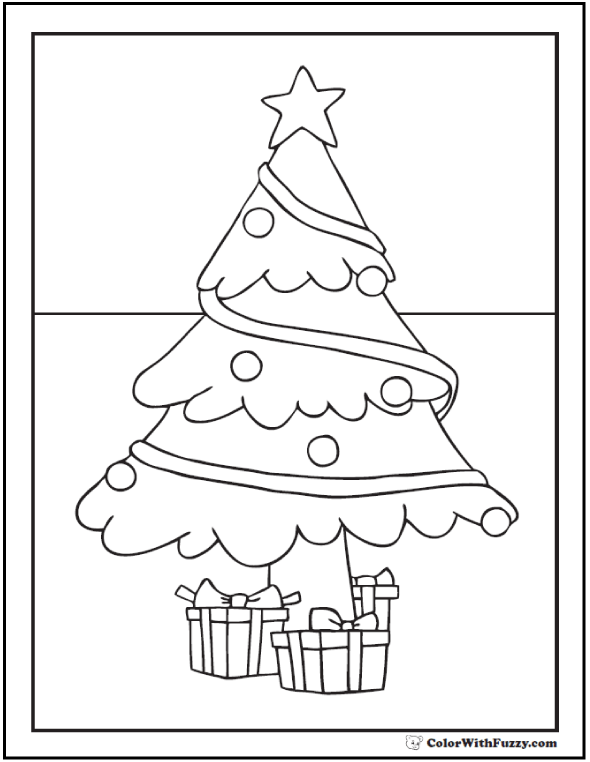 Fuzzy's printable Christmas tree coloring pages are fun. This one has a loose swirl of garland and is decorated with a star at the top and round ornaments. It also has pretty gifts at the base of the tree.